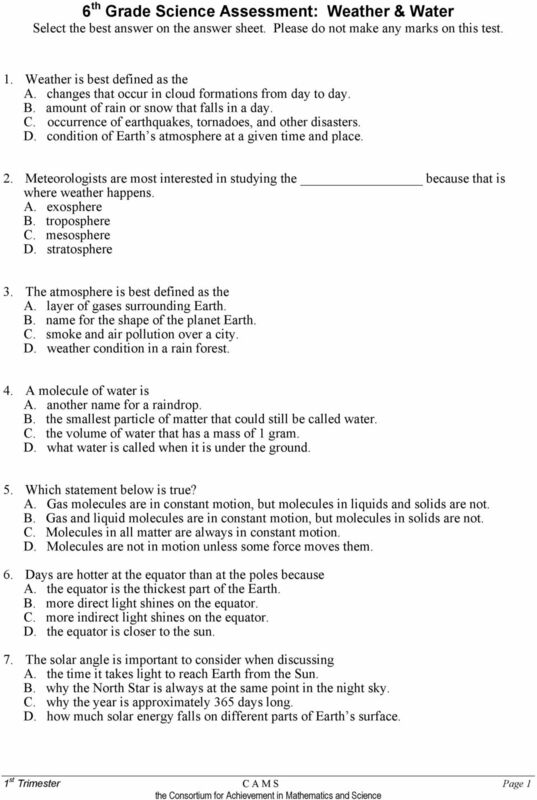 Download "6 th Grade Science Assessment: Weather & Water Select the best answer on the answer sheet. Please do not make any marks on this test." 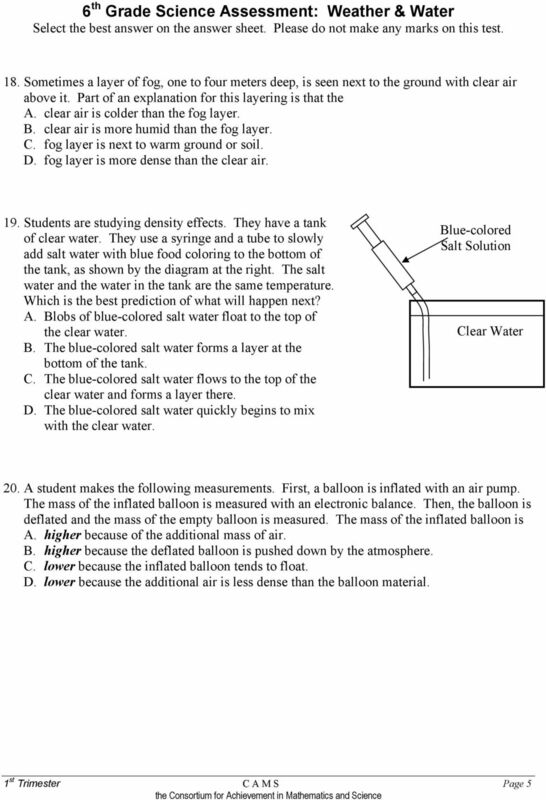 TEST NAME: Matter TEST ID: 49717 GRADE:05 SUBJECT:Life and Physical Sciences TEST CATEGORY: My Classroom Matter Page 1 of 30 Student: Class: Date: 1. What is the MAJOR role of the Sun in the water cycle? 2. 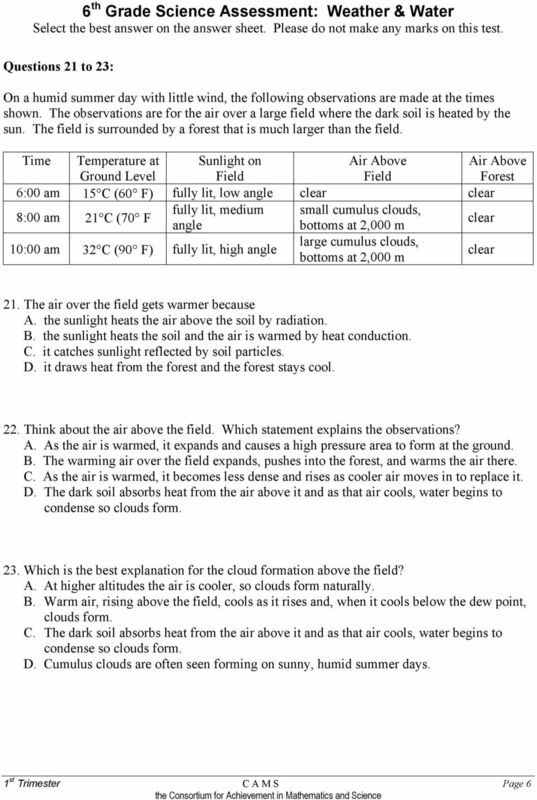 What continually moves air around in the atmosphere? 3. 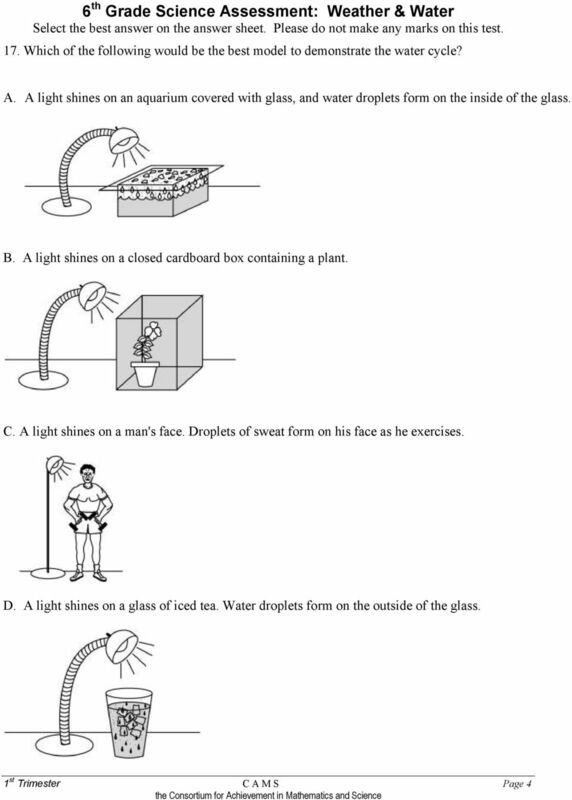 Which of the following weather systems is associated with clear, sunny skies? 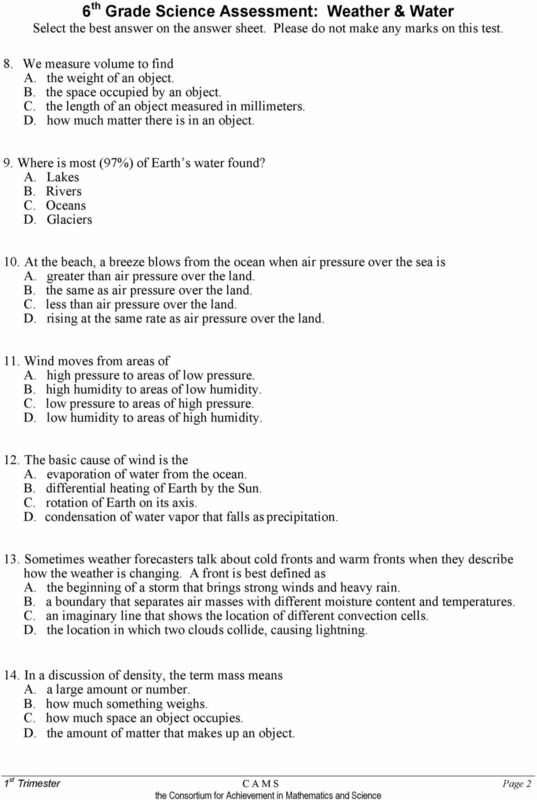 Grade 5 Science Unit C: Earth Science Chapter 5: Water on Earth Lesson 1: How Can the Oceans Be Described? You can read more about the Hadley Cells by visiting the NASA website link below. Weather. Weather is the set of environmental conditions encountered from day to day in a particular location. 8. Mercury, the planet nearest to the Sun, has extreme surface temperatures, ranging from 465 C in sunlight to 180 C in darkness. 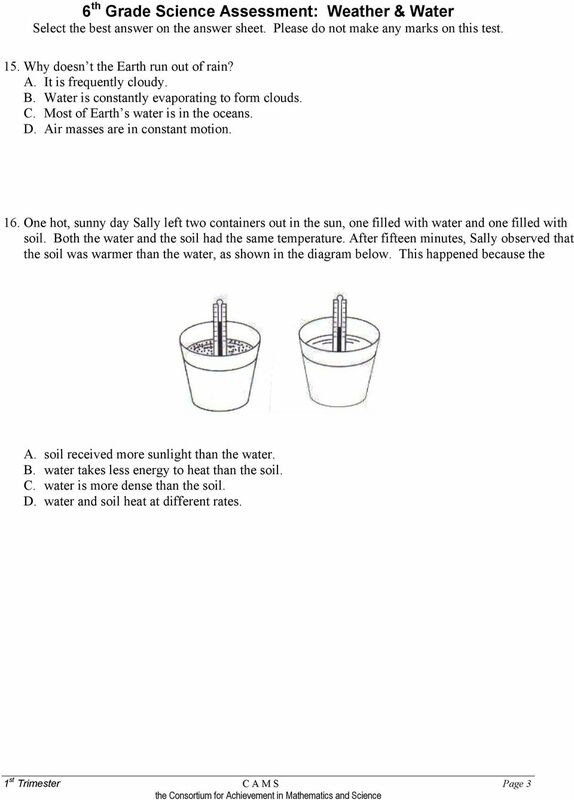 Which statement best summarizes what will happen to the water in each of the beakers after a few hours?